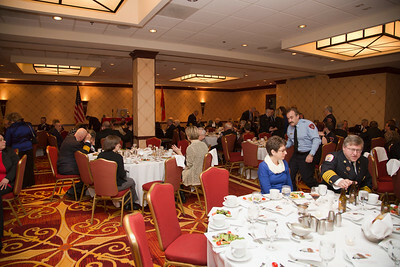 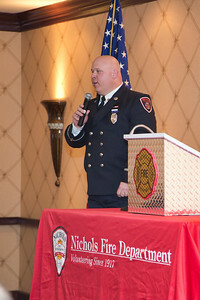 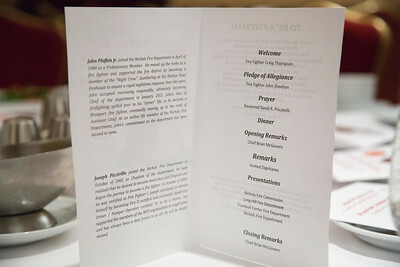 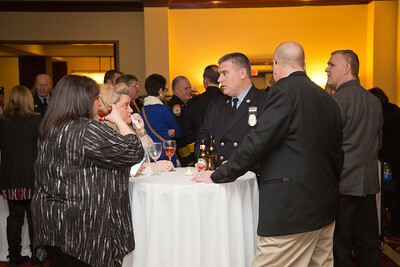 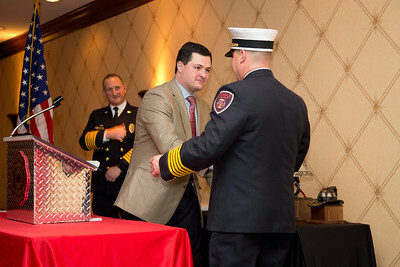 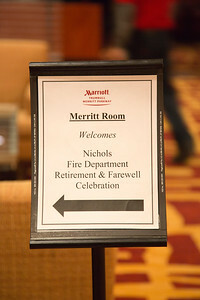 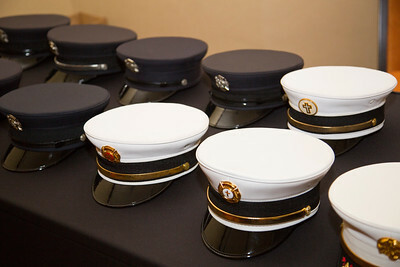 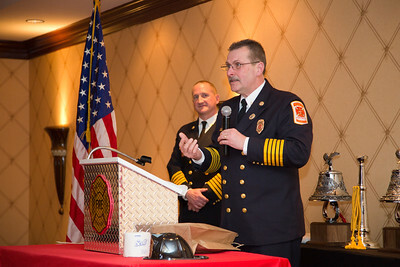 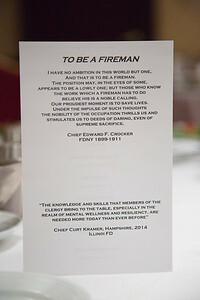 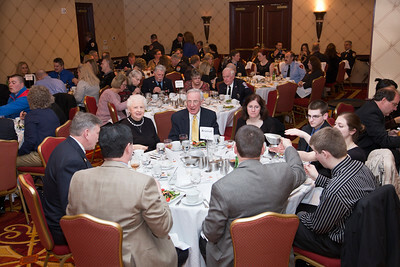 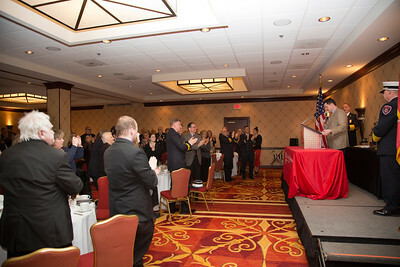 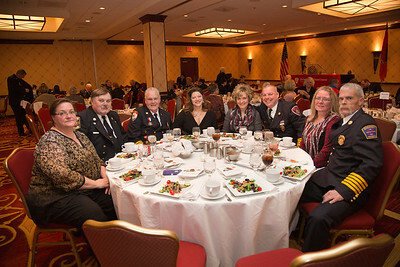 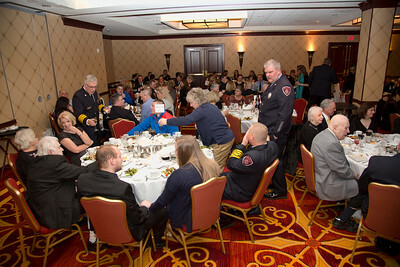 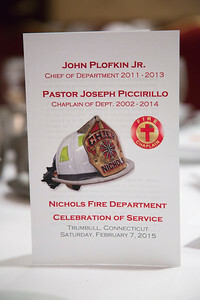 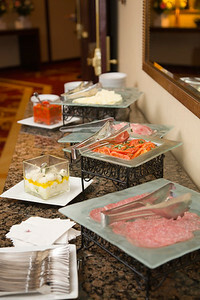 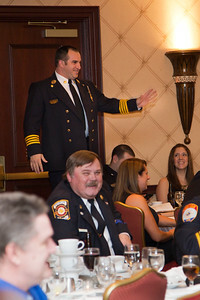 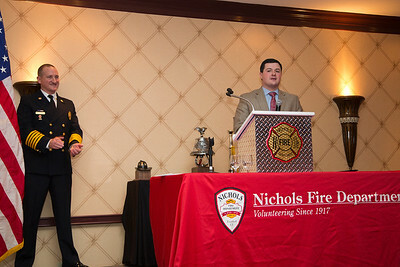 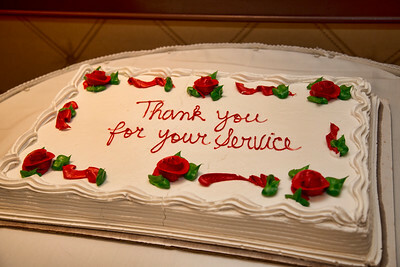 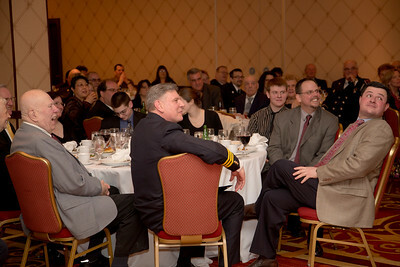 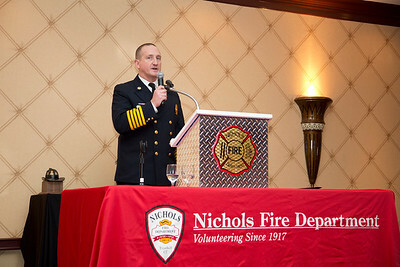 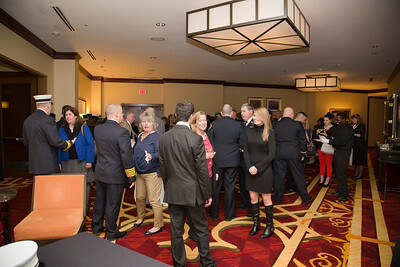 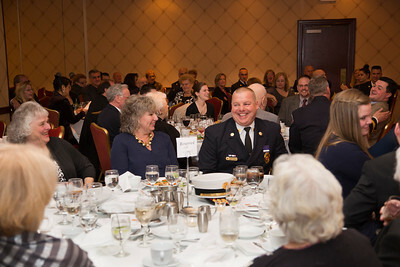 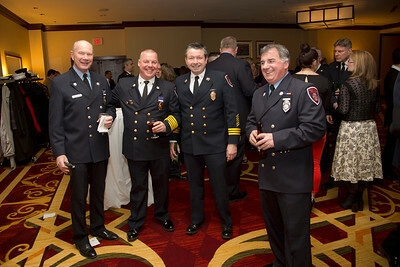 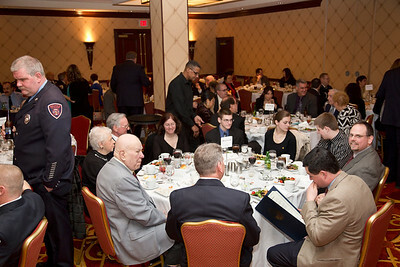 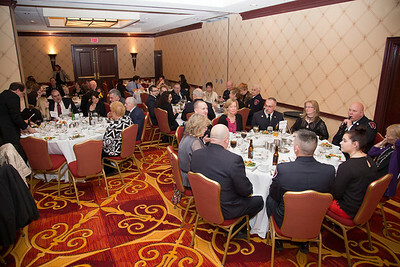 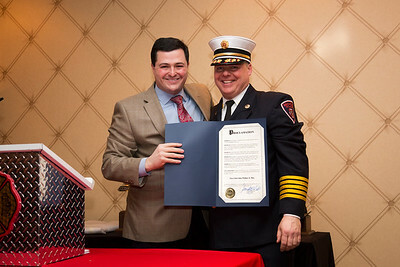 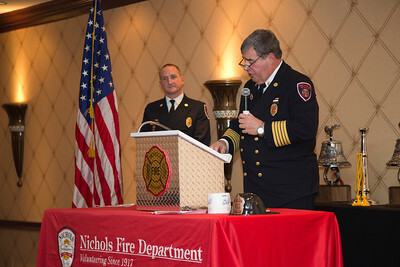 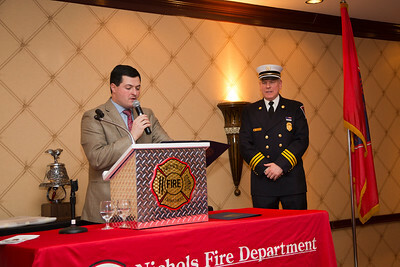 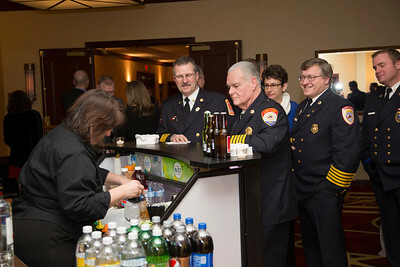 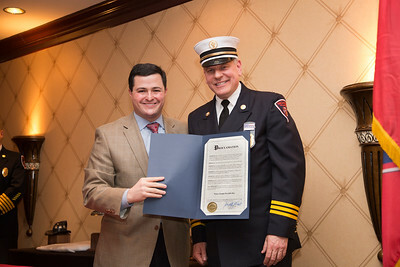 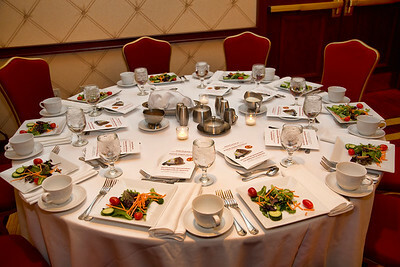 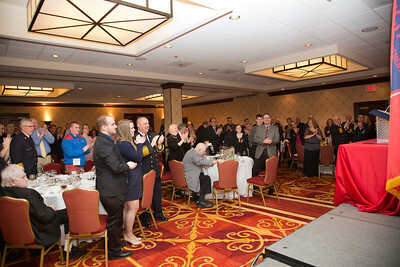 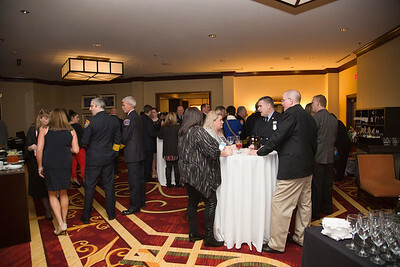 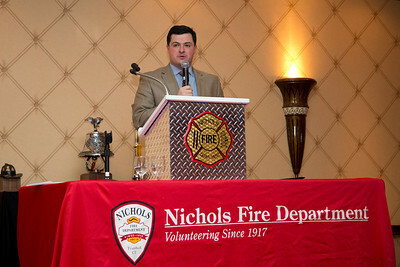 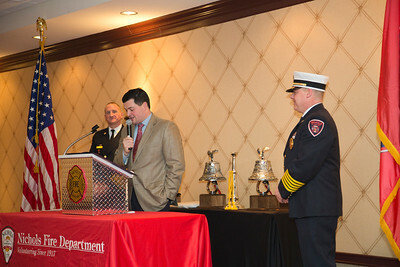 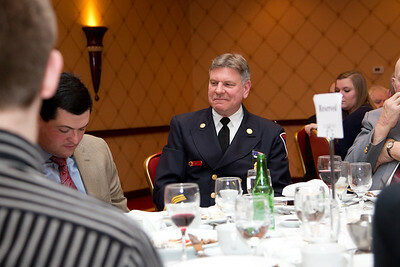 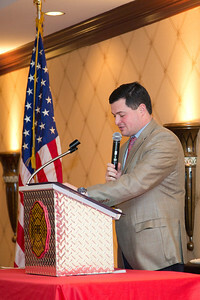 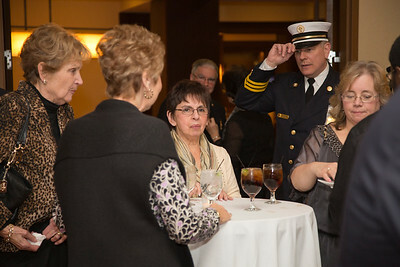 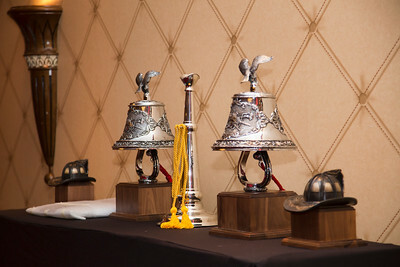 TRUMBULL, CT - On February 7, 2015, the Nichols Fire Department honored John Plofkin Jr. and Pastor Joseph Piccirillo at the Trumbull Marriott. 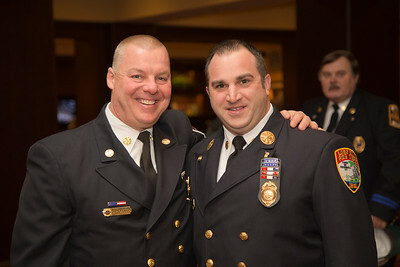 These two members were being celebrated for their dedication and years of service to the department. 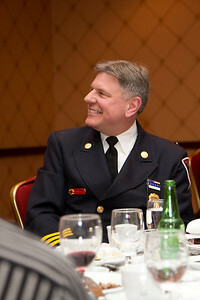 John joined the department back in 1980 and moved through the ranks, serving as Chief of the department from 2011 to 2013. 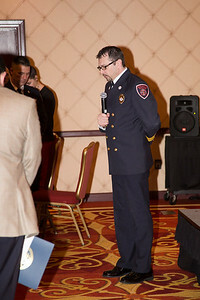 Joseph, known as PJ, joined the department back in 2002 and served as Chaplain. 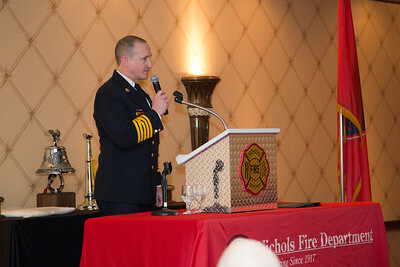 He also began training to become an active firefighter, becoming FF1, FF2, and later Apparatus Driver/Pump Operator certified. 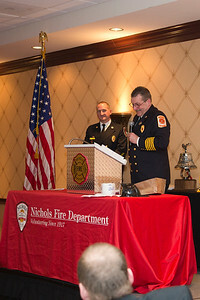 Members from the departments of surrounding towns, Monroe, Shelton, and Bridgeport to name a few, came to honor these two members.